An early prototype of the upcoming BMW 8 Series coupe has been spotted! The new flagship coupe is expected to launch in 2020 and will rival the likes of the Mercedes-Benz S Class Coupe and the Bentley Continental GT. The new BMW 8 Series will spawn a family of premium luxury products including a convertible and 8 Series Gran Coupe. It is based on the current generation 7 Series and will share most of its components with the luxury limousine. 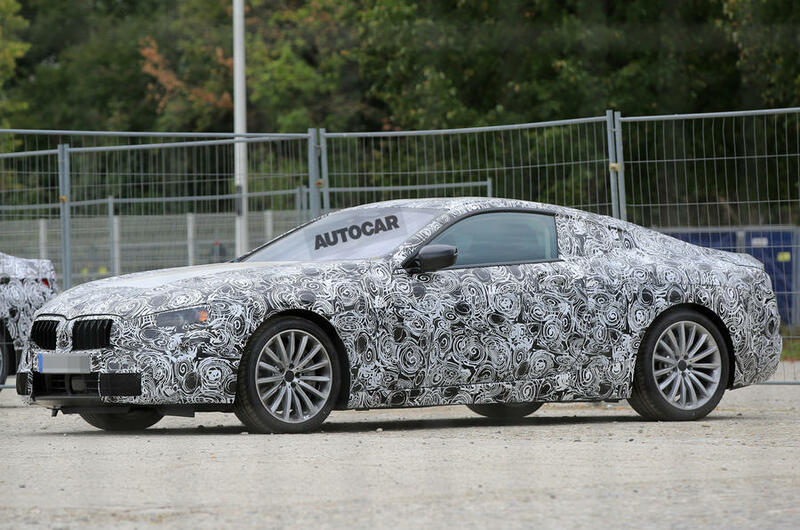 Moreover, the 8 Series coupe will have the same underpinnings, engine and drivetrain from the 7 Series. Inside, the 8 Series will offer a premium cabin packed with the latest electronic gizmos and driving aides. An updated semi-autonomous driving feature will be on offer as well. As far as exterior styling is concerned, the new BMW 8 Series will evolve from the current 7 Series. So, expect to see a wider twin-kidney grille and a sculpted front end. We could also see an air-breather with chrome accents on the front fenders. A wider stance at the rear would be accentuated further thanks to slim, L-shaped tail lamp treatment. Yianni From Yiannimize Buys A Ferrari 488 Spider!